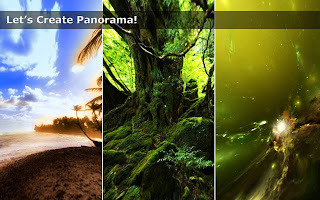 Enhance your screen with live 3D panoramic view. 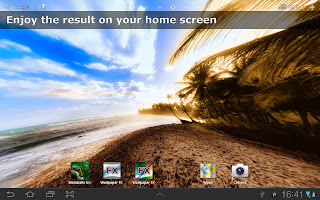 Enjoy screen rotation depending on current device orientation in space. 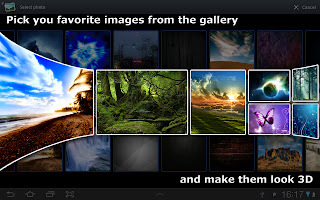 Choose any image from the gallery and make your screen panoramic! 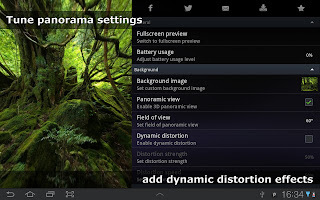 Add dynamic distortions for more fun and liveliness. 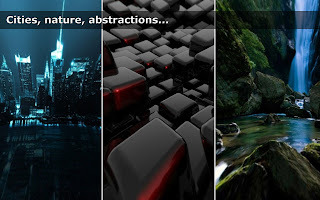 Ideal for HD backgrounds of any type, especially for nature and abstract images. Supports Full HD high quality images. Works well on phones and tablets, any screen size, landscape or portrait. 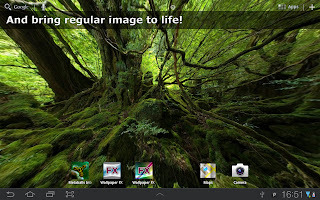 Compatible with all launchers, including GO launcher, Nova launcher, HTC Sence 4.0, etc. 1) A pity that the app stops scrolling round when you use a real 360° pano.